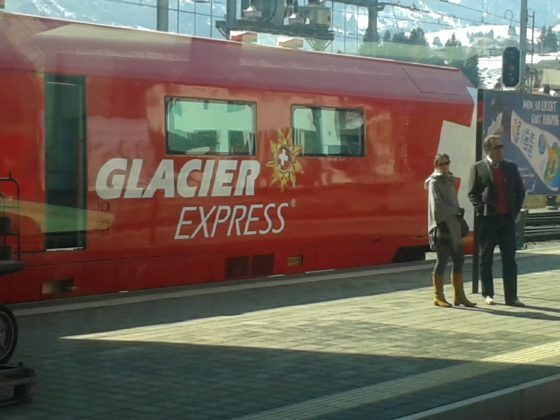 The Glacier Express is the next part of my Switzerland rail expedition using my four-day consecutive Swiss Travel Pass. 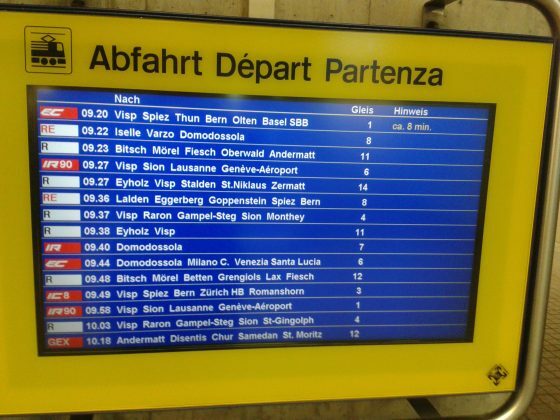 Although this train begins in St. Moritz and goes all the way to Zermatt (or vice versa), I picked up the journey from Chur as it was my choice to base myself there, with the final destination for the day being Brig. This seemed an ideal place to depart from and explore a number of shorter destinations over the next two subsequent days with my rail pass. Modern, smart and contemporary in its style making this train one of the most sought after by tourists with a penchant for rail journeys. 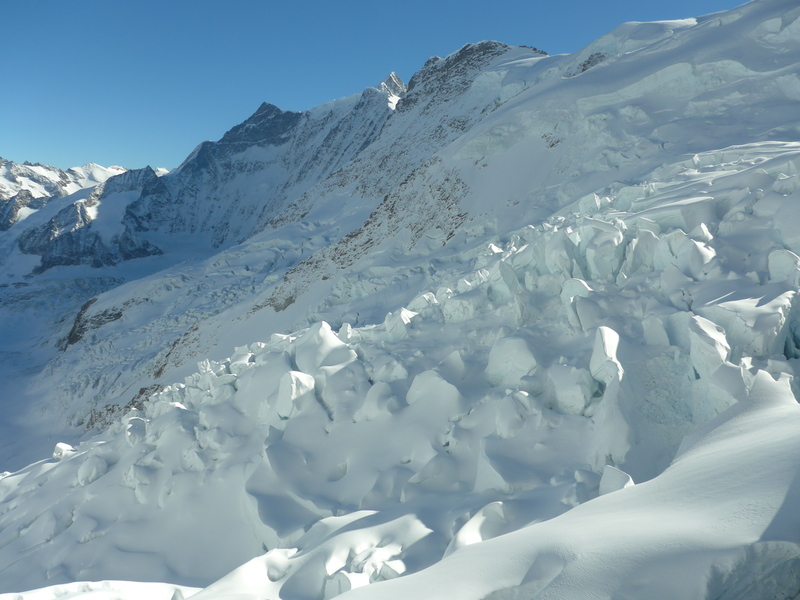 There is one daily Glacier Expresses in each direction in winter, but up to three daily Glacier Expresses in summer. 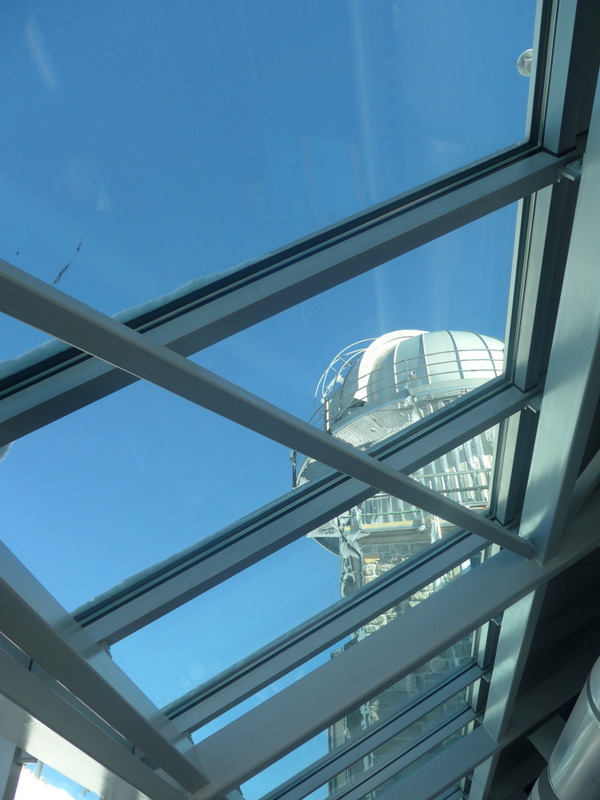 Check out the panoramic ‘vista’ windows that run from your elbow to the ceiling. 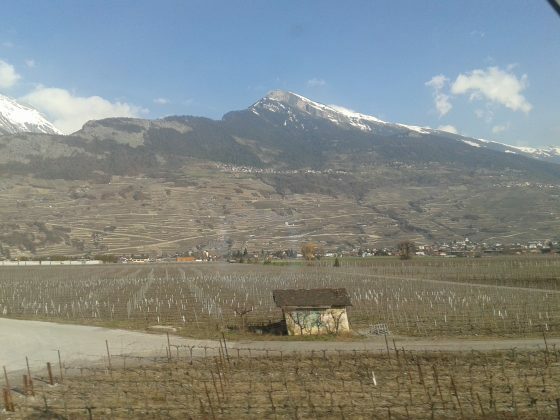 From just outside Chur the scenery is already opening up to some spectacular views. Roofs of homes covered by the winter months are now making an appearance it seems. 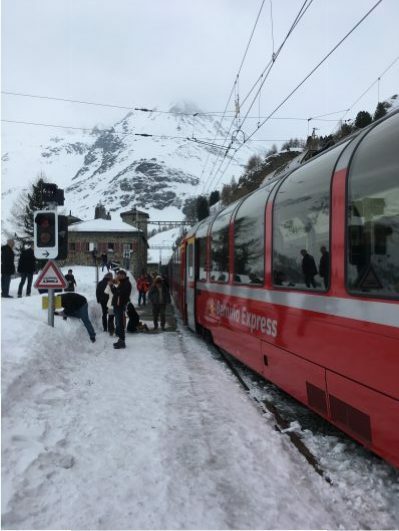 The Glacier Express is a regular scheduled year-round train service, but again, I urge visitors to book early if considering Switzerland as part of a European holiday. 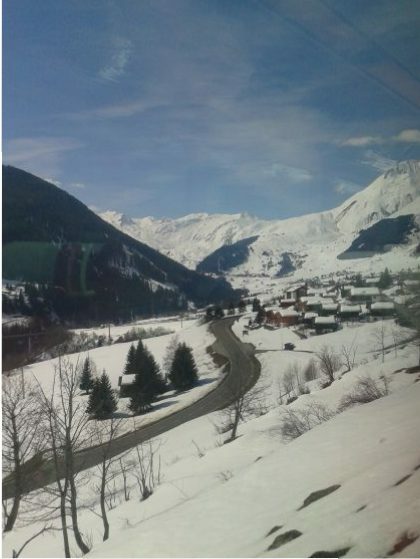 Being inside a cosy, warm carriage also means having a delicious hot meal to complement the views. 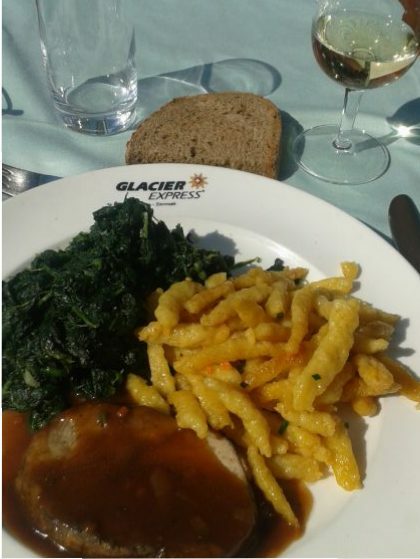 A traditional dish of Spaetzli (to me, a very tasty noodle-like pasta), with tender melt-in-your-mouth meat can be included in the ticket price. Whether you opt for the ‘dish of the day’ or a 3-course meal, all food is lovingly and freshly prepared every day using carefully selected regional and seasonal produce. 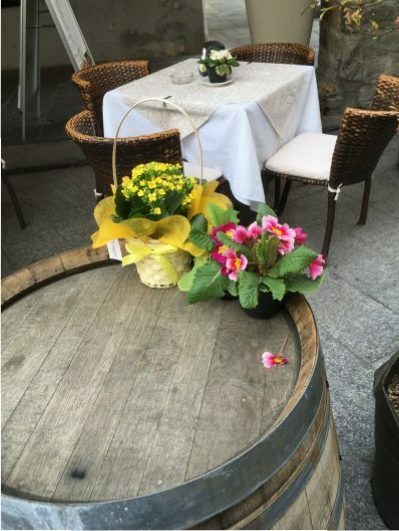 Local wines are sourced from the cantons of Graubünden and Valais to round off your culinary experience. At the time of booking your journey, seat and meal reservations are a must. 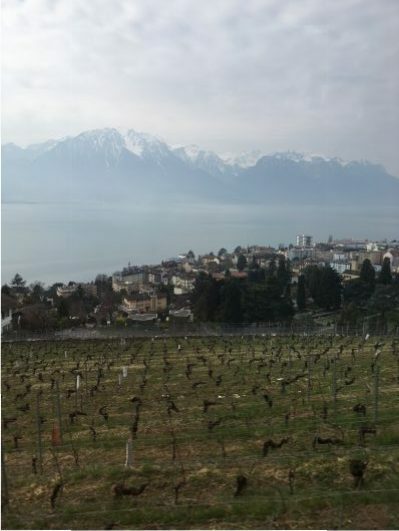 Wonder what the Swiss are having for lunch? 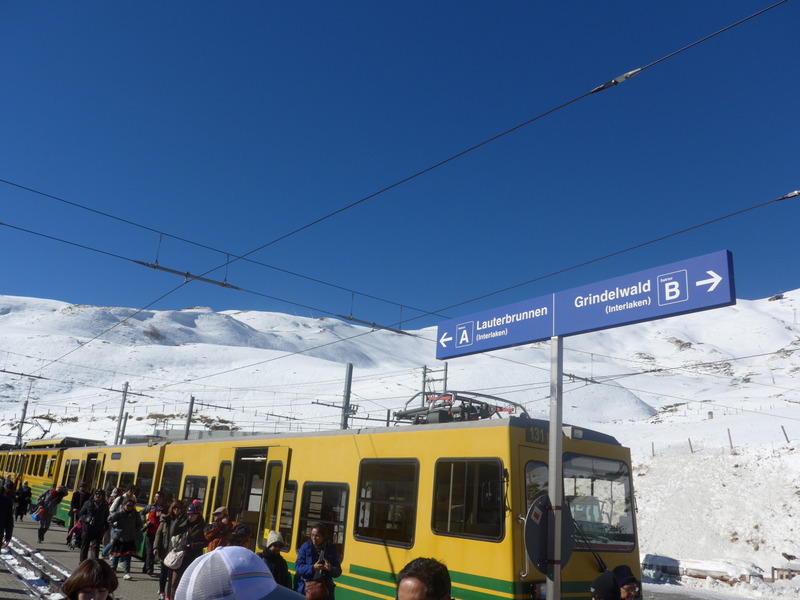 All too soon we were at Andermatt for a stop and to take in the fresh clean air and admire the Swiss Alps and the amazing panorama. 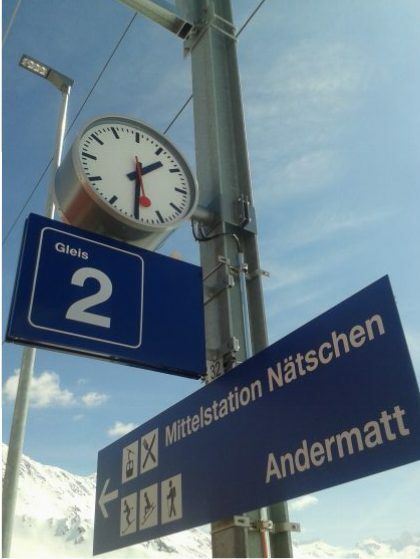 A walk around the platform is permitted for about 15 to 20 minutes with staff keeping a close eye on us – ensuring our boarding time is adhered to. 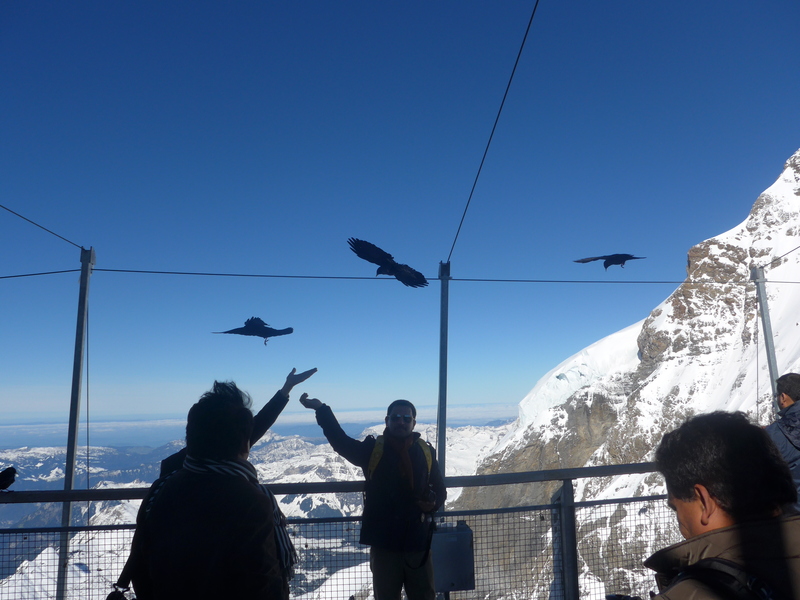 And yes, everyone’s very happy to be here, visitors wave us off. Bet they wish they were on my world-class train! 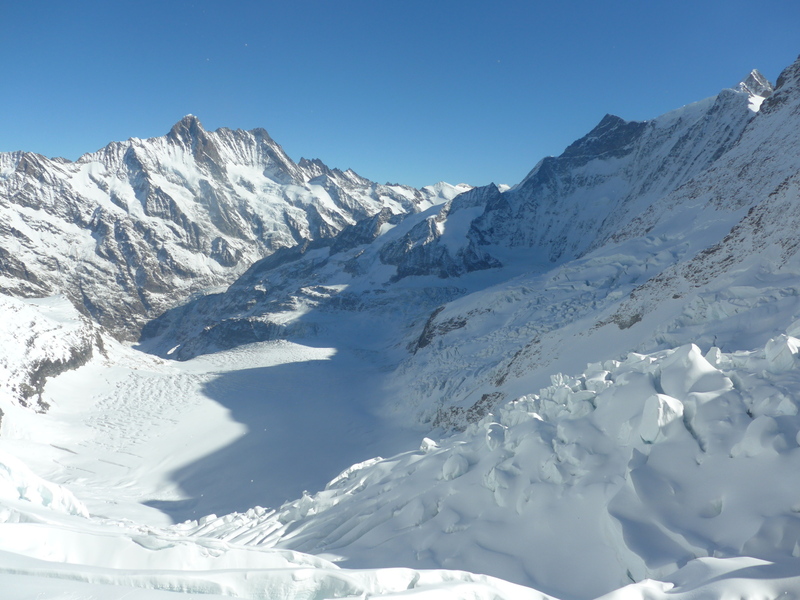 The route crosses the Oberalp Pass at 2,033 metres and descends into Valais before a cogwheel climb into the village of Zermatt, which sits at the base of the Matterhorn. 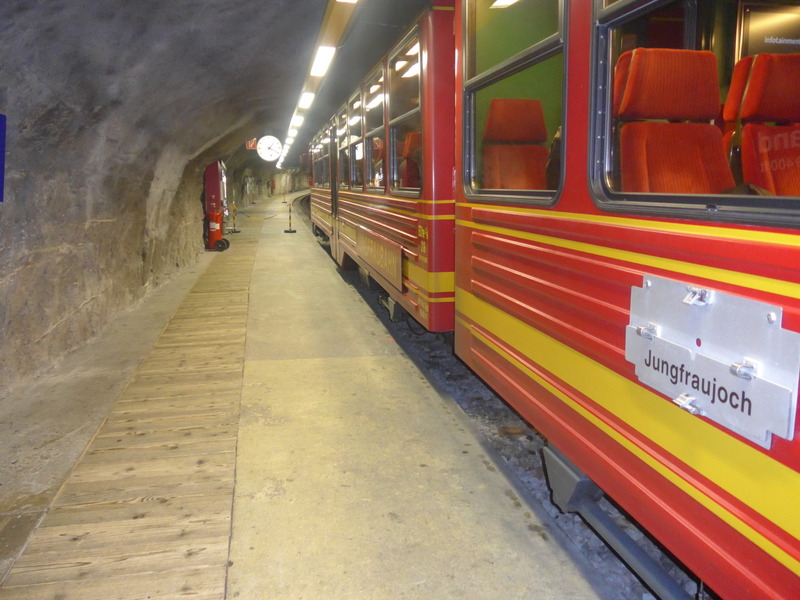 You will travel through narrow valleys, tight curves, 91 tunnels and across 291 bridges. 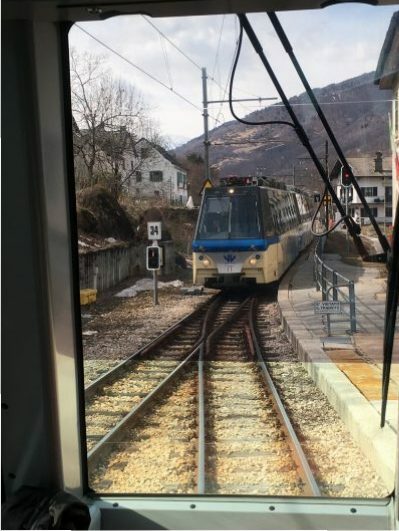 Billed as Europe’s slowest express, its a narrow-gauge train which takes 7½ hours to cover just over 290 km (180 miles), at an average speed of around 24 mph. 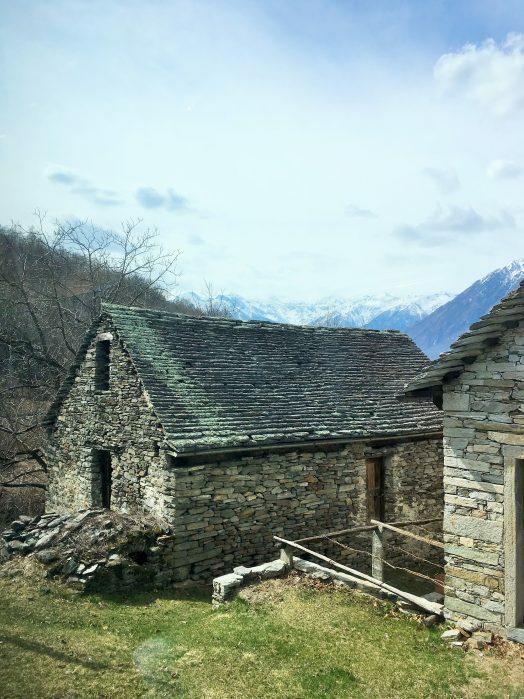 The route takes you through the three cantons of Valais, Uri and Graubünden offering breathtaking and varied spectacular views. 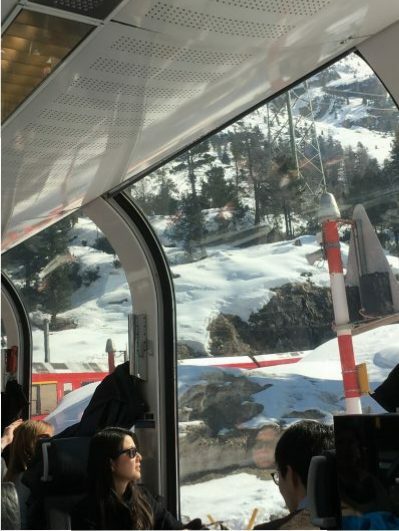 If going the whole way from St. Moritz to Zermatt, it’s almost eight hours of sheer pleasure for your eyes – and your palate too. 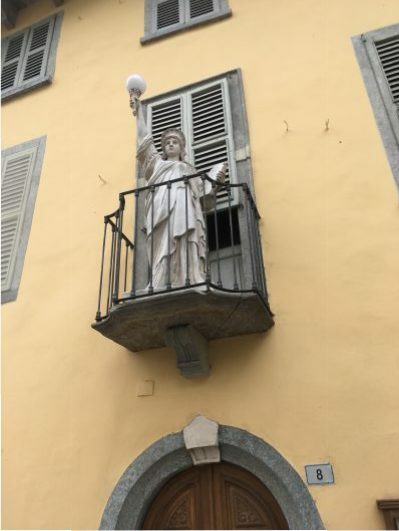 A couple of nights in Brig. 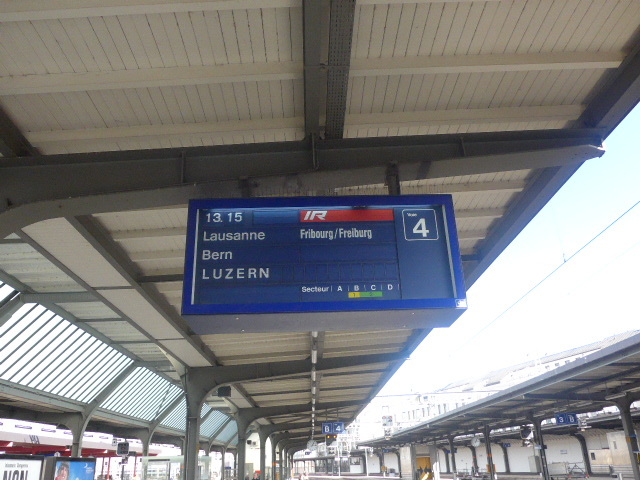 I based myself in an interesting Swiss city, ready for my next day’s train trip. Situated at an important junction, Brig is an ideal starting point for excursions. 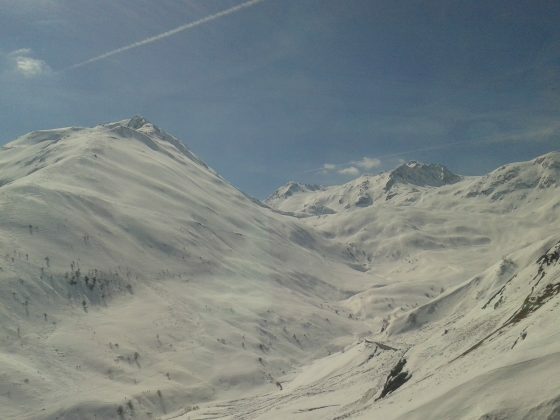 It’s close to hiking and ski regions on the Lötschberg and Simplon areas. 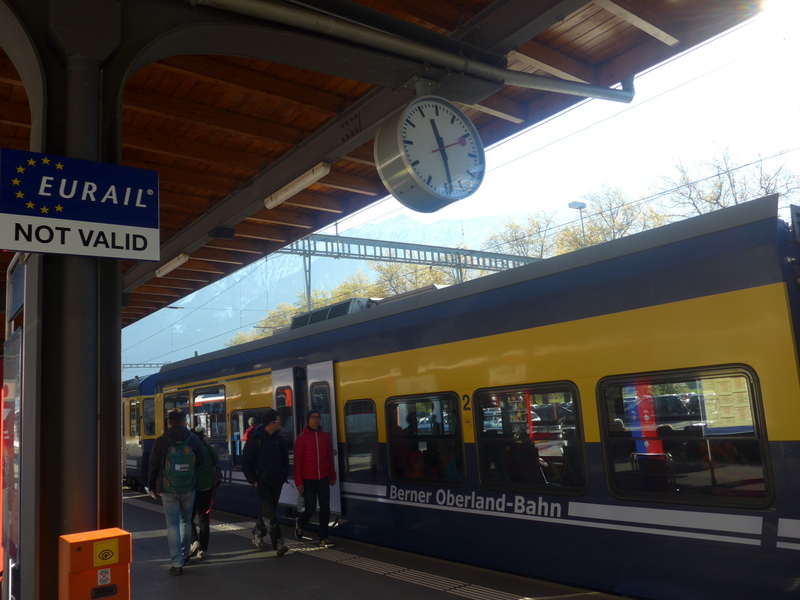 And yes, I did have enough time to explore warm sunny Brig in the afternoon after completing my day’s rail adventure with the Glacier Express. 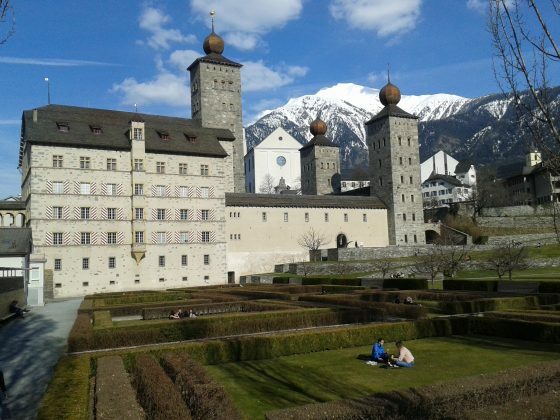 The Stockalper Palace was built between 1658 and 1678 by Kaspar Stockalper, a silk merchant of Brig and was the largest private construction in Switzerland at the time. 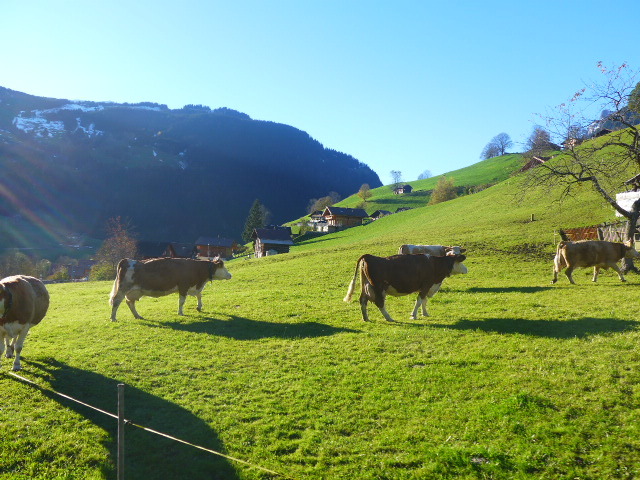 A lovely surprise to see and wander around at the end of March – and not expecting to see such clear days as this. 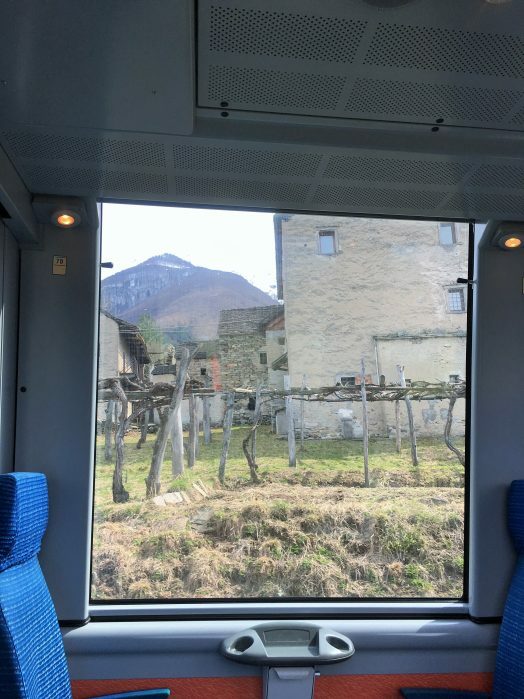 My four-day consecutive rail pass allows me to travel each day on a train which takes me on a different route and experience. If I miss one day there is no refund nor ability to recoup it. 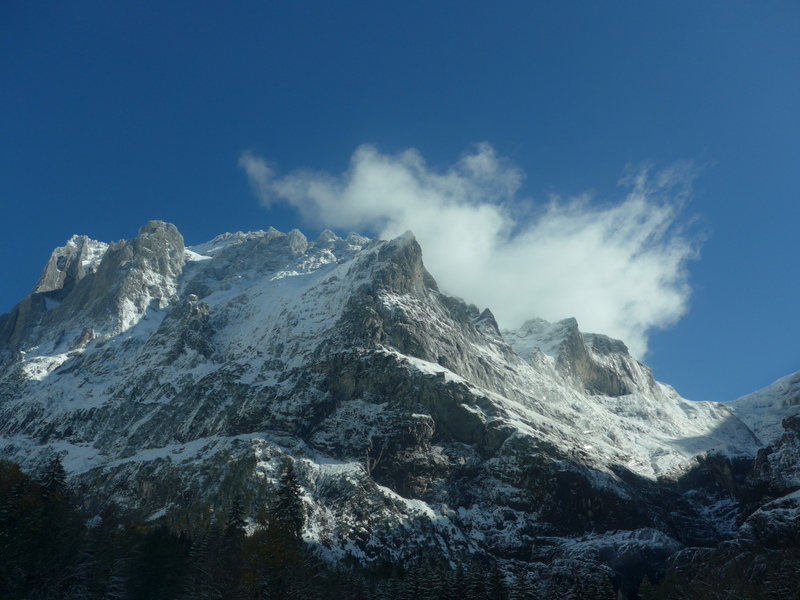 Seat reservations are necessary in advance, be early as it’s an incredibly popular service of the wonderful alpine landscape still caped in its white cloak; especially for those like me who have a preference for travel in the shoulder seasons. 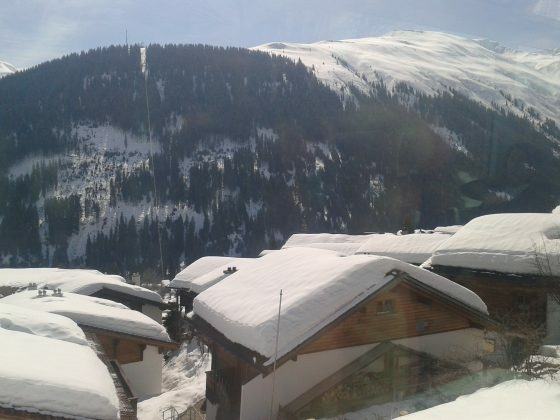 After a short trip from St Anton, Austria to Chur (pronounced Kor) in Switzerland, my next rail sojourn is with the fabulous Bernina Express. 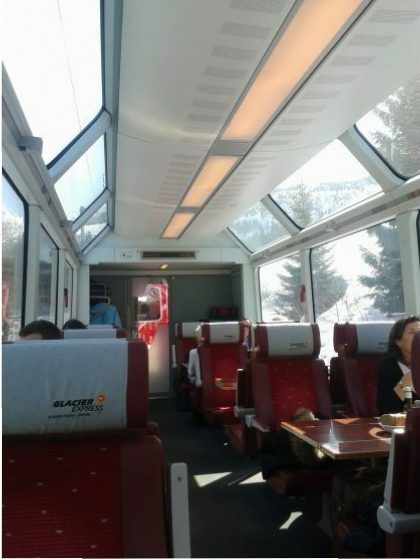 The interior is stylish, bright and squeaky clean with full-length windows for optimum viewing of the Swiss Alps. 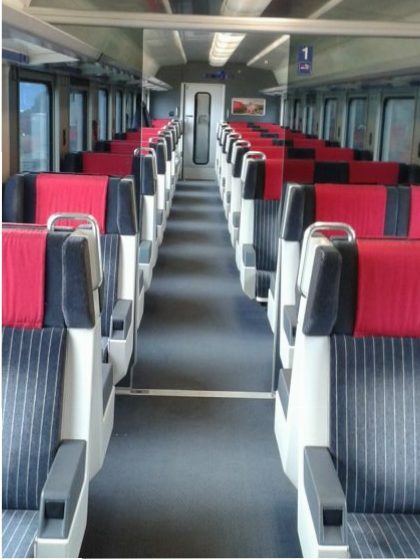 Shown here is the First Class carriage and Second Class is available. A personalised service onboard for anyone wishing to appreciate the ride and not move too far from their seat – don’t want to miss any photo opportunities with this train! So where am I headed to with this immensely popular day trip? 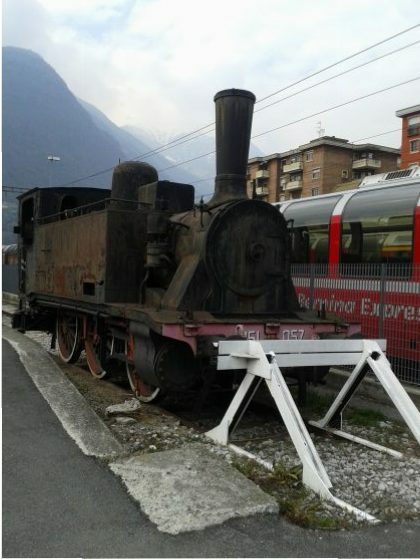 Happy to say Tirano in Italy, it’s the turnaround point after witnessing 122 kilometres of track, part of which the railway line from Thusis – Valposchiavo to Tirano has UNESCO World Heritage status. 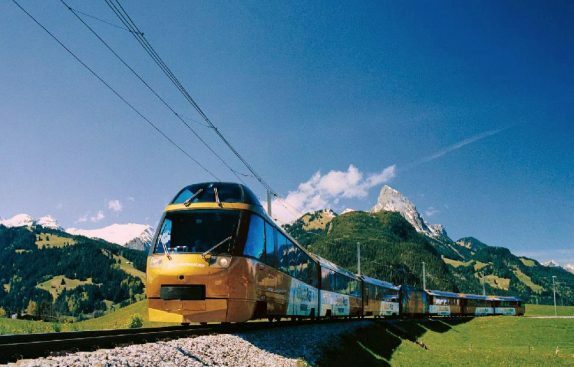 Being a four-hour journey each way makes it one of the most popular in Switzerland and in fact the world; in terms of savouring an adventure by rail. Sit back, relax and simply enjoy. 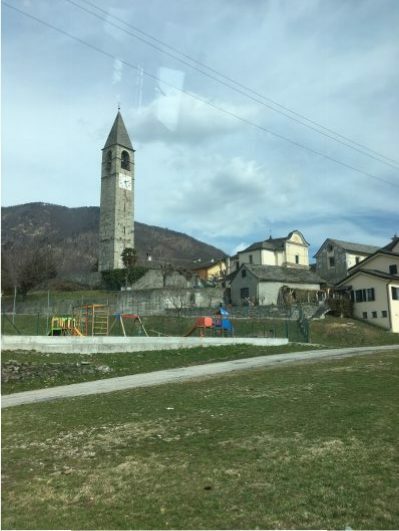 Along the way, the elevation begins to show off many lovely villages below where families have lived as locals for generations. 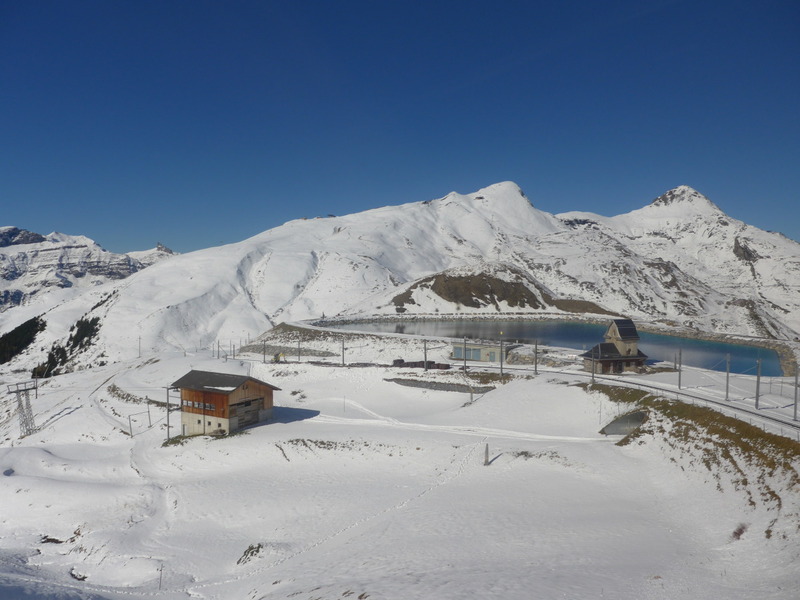 At the highest point on the Rhätischen Railway (RhB), it’s 2,253 metres above sea level, you’ll find the Ospizio Bernina being one of the highlights along the way. 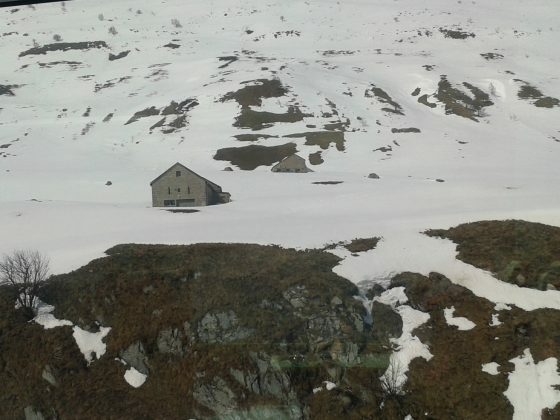 And yes, there’s still a lot of snow around late in the month of March. 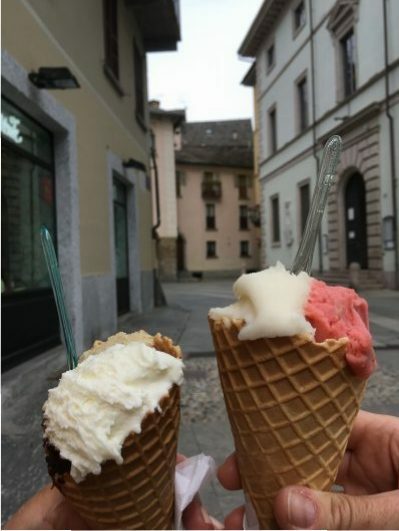 An excellent recommendation for anyone who likes to travel within the shoulder seasons of Europe and still enjoys seeing the remnants of winter. 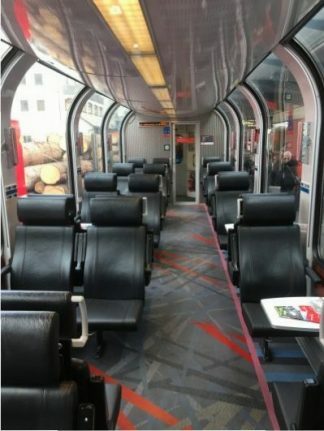 You’ll have somewhat more space to move around the carriage as well without the maddening crowds of the peak seasons. 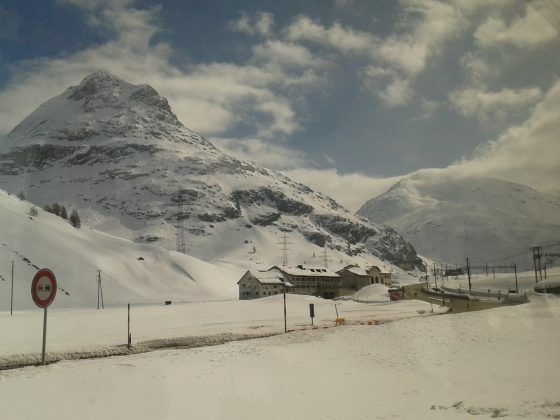 The train just keeps on gaining momentum showing off the beauty and magnificence of its surrounds – as seen here with the Swiss Alps in the background. 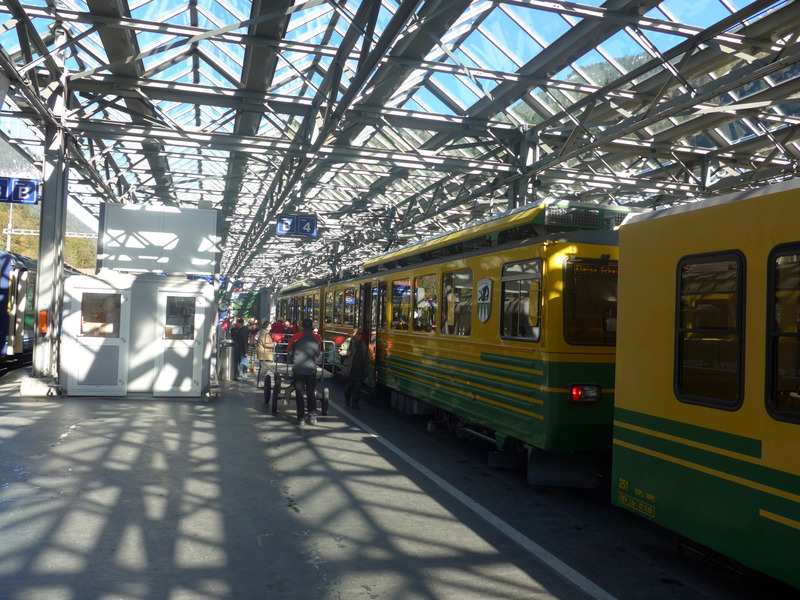 Even in the months of March and April, the train is not short on carriages and the demand is still quite high. Bookings can be taken as early as ninety days out from your planned trip. 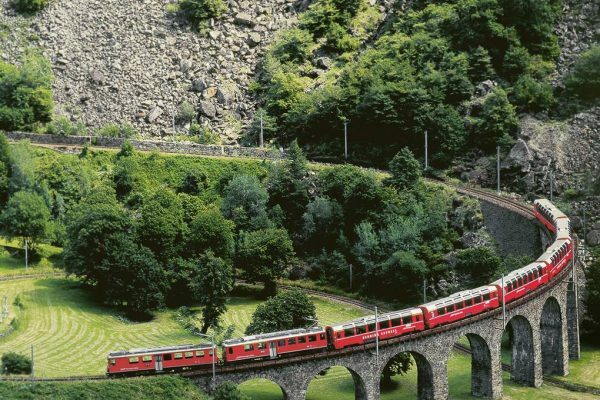 The Bernina Express route is an impressive piece of railway engineering: when the train reaches an altitude of 2,253 metres, it’s even higher than the Glacier Express journey and without the help of a cogwheel track. 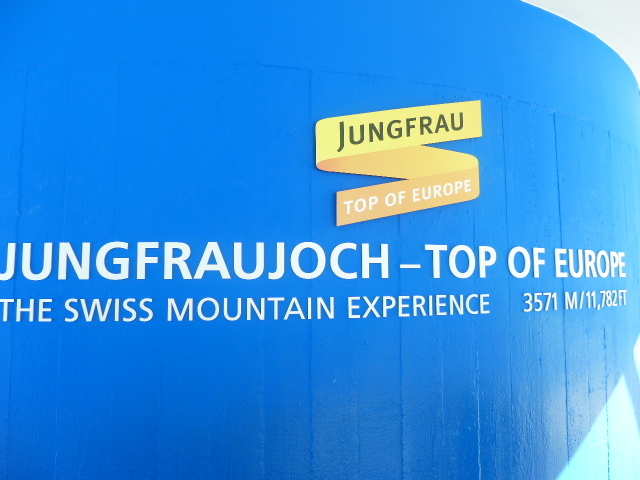 It requires lots of spiral loops, 55 tunnels and 196 bridges to accomplish this trip. 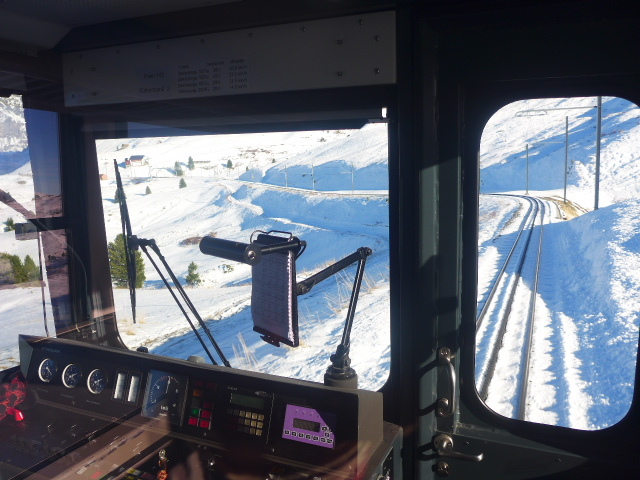 And yes, the panorama is truly exceptional and a must see as we zig zag through terrain of which you wonder how the tracks could’ve ever been laid here all those years ago. 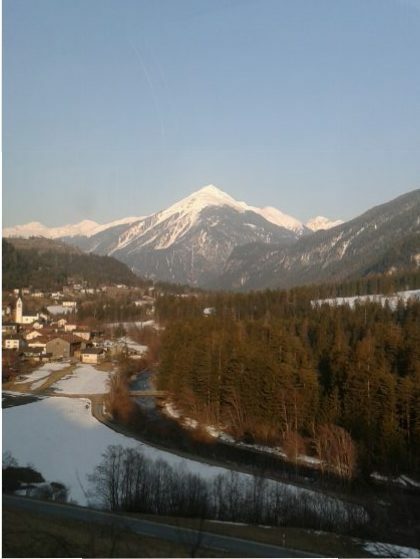 Heading closer now to the Bernina Pass, I don’t think the household sewing machine BERNINA made a mistake in branding it as such with the company’s namesake being the Piz Bernina; the highest summit in the eastern Alps. 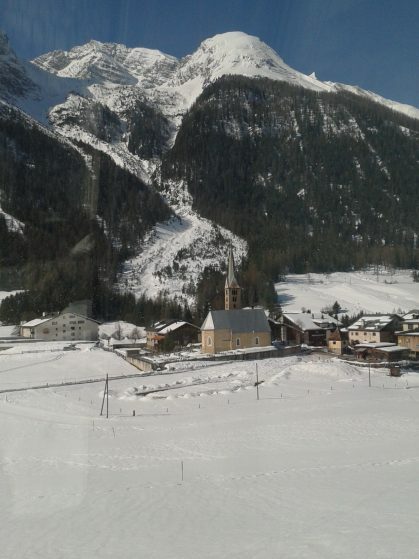 At Alp Grum and we’re within the Bernina Pass, we have a quick 15 minute stop to take in the magnitude of the area. 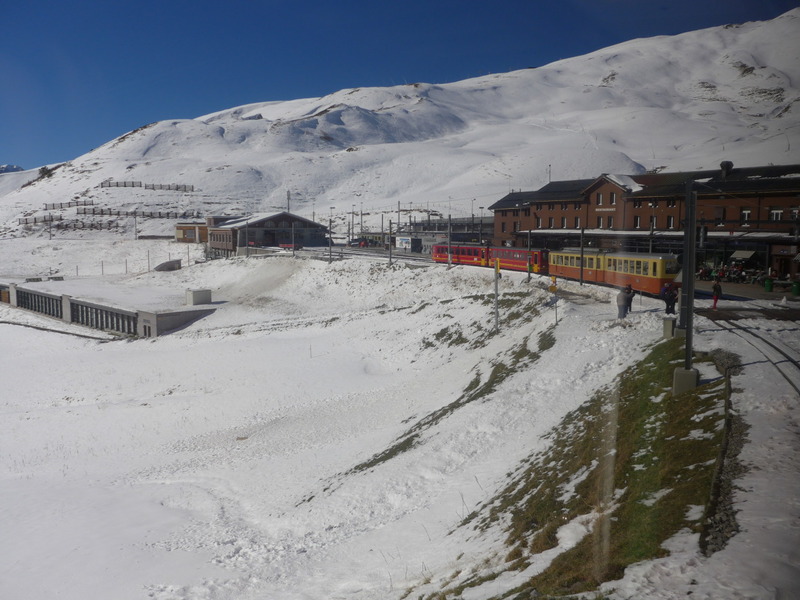 Here you can order a cuppa or bite to eat at the café, but I think you’ll be more inclined to spend time enjoying the crisp snow and marvelling at the Bernina Express train’s effort in reaching this point. The station and restaurant building date from 1923 and is surrounded by a unique mountain setting – including Palu Glacier and Lake Palu. The marvellous outlook over Cavaglia and the Italian Alps beyond is breathtaking. Winding upwards this time along the famous Landwasser Viaduct. 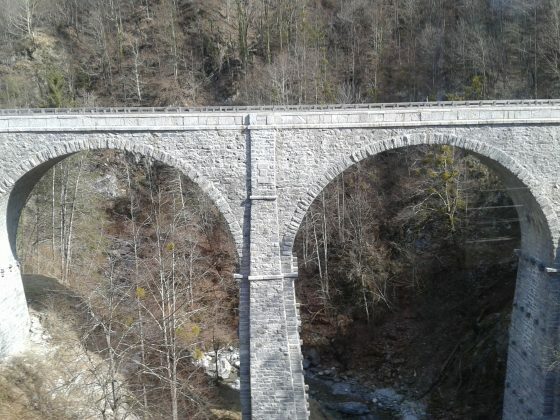 The almost 466 foot viaduct and sweeping 328 foot arches, spans between Schmitten and Filisur in the canton of Graubunden, Switzerland. 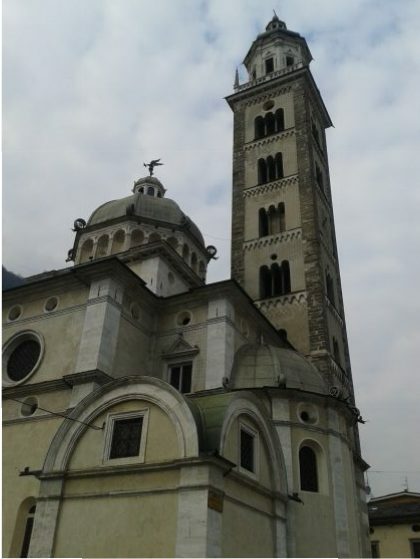 You’ll pass by the Pilgrimage Church of the Madonna di Tirano and if you miss a photo opportunity there’s plenty of time in Tirano itself as there’s a luncheon period of about 2.5 hours. You can easily walk back to it, bearing in mind though it’s a couple of kilometres. 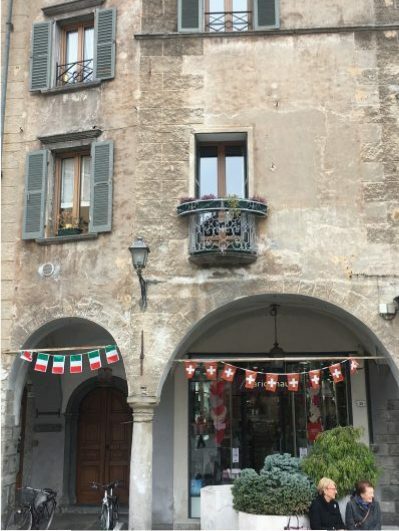 While in the port town of Tirano, you can have an Italian pizza or antipasti at one of the many cafés or restaurants which are close by to the station. 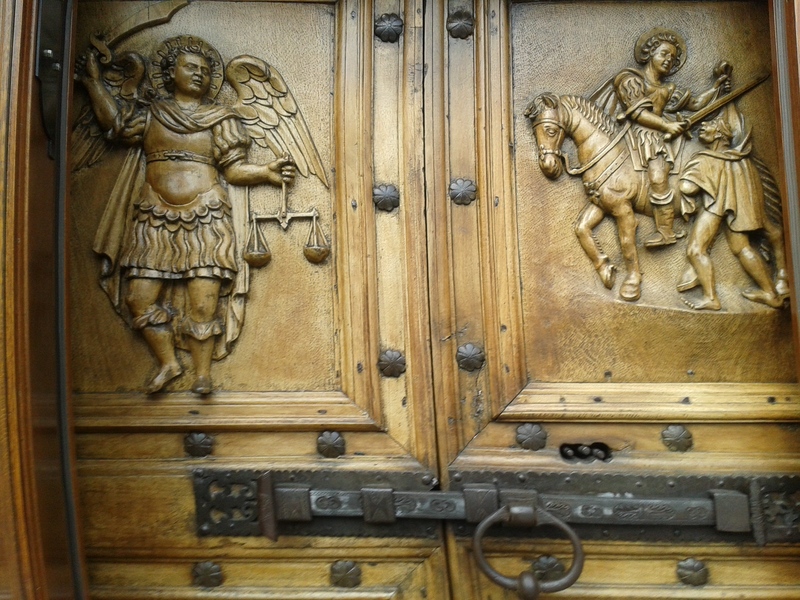 I’m sure I’ve mentioned before, taking photographs of doors with such intricate attention to detail has become a ‘thing’ of mine – such as this one of the Pilgrimage Church. 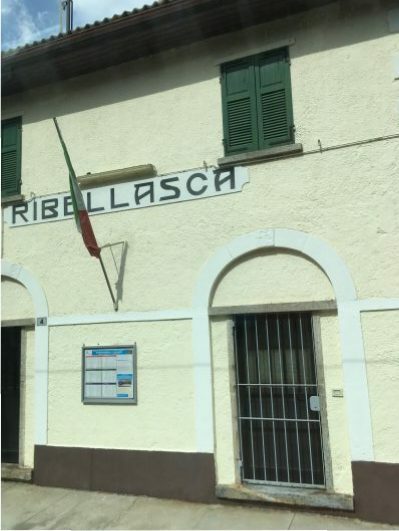 At Tirano station, the new and old standing side by side reminding passengers how times have changed. 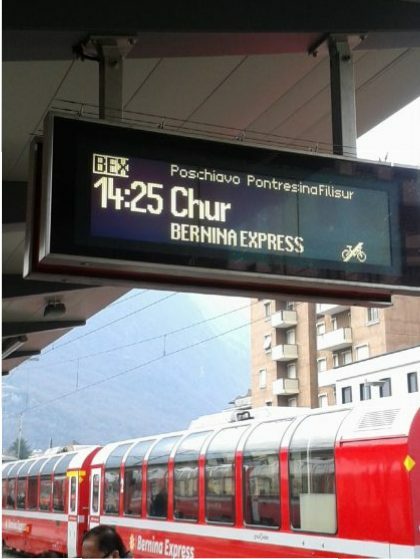 Time to head back to Chur and passengers are waiting eagerly to find their place and again be treated to Bernina Express’s welcoming staff and service. 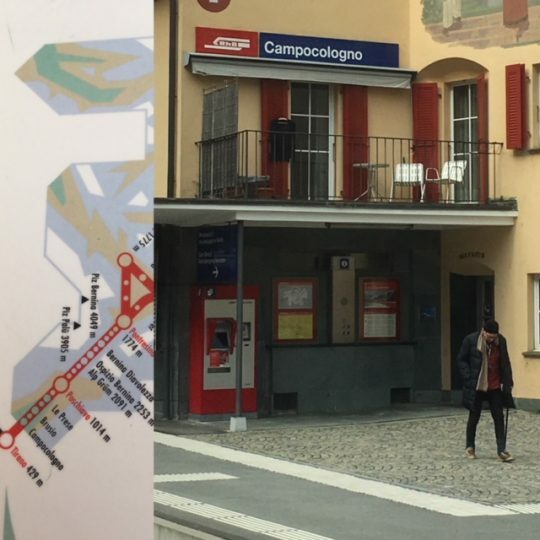 Additionally, there is a Bernina Express bus service which connects and extends onto Lugano in Italy from here and operates from February to November. 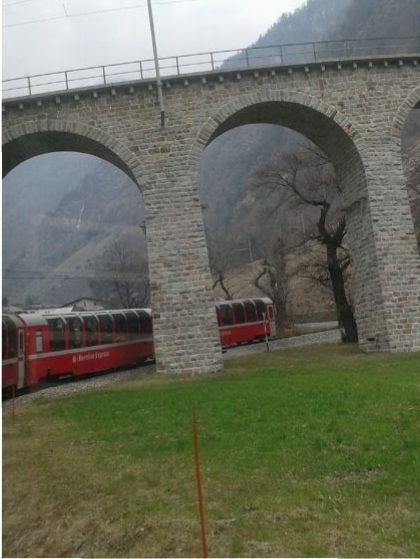 You’ll be able to see lovely villages whilst enjoying the ride on the outskirts of Lake Como. Heading back we stop at the border town of Campocolongo, Italy for Customs Police to walk through. For Australians, no visa is required for either country, however it’s important to carry identification with you. 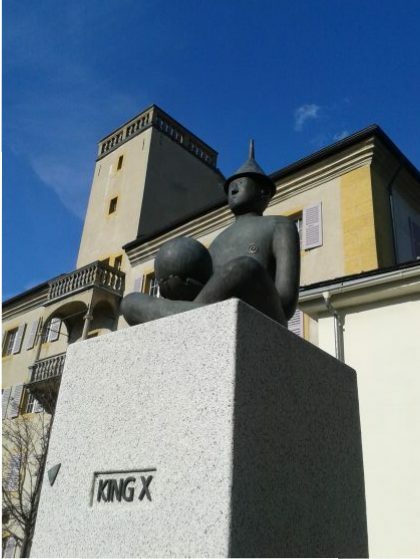 Back into Chur about 5:30 pm same day, you’ll still have time to explore this lovely small Swiss city. Shown here is the Cathedral in the centre and at 800 years old is worthy of a visit. 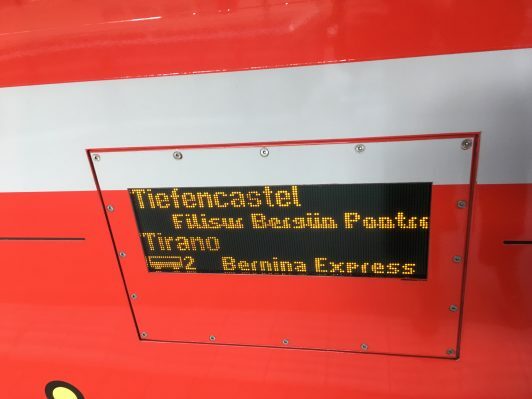 The Bernina Express is included on the Swiss Travel Pass which can be bought separately to the Eurail Pass – especially if you are considering extensive travel throughout Switzerland. 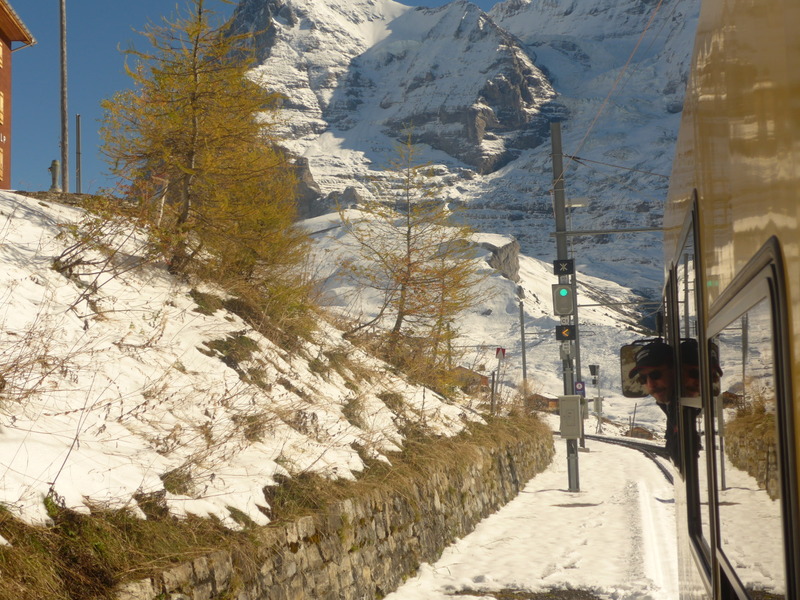 Savings with the Swiss Travel Pass are enormous if you add up the cost of buying the boutique rail journeys separately. 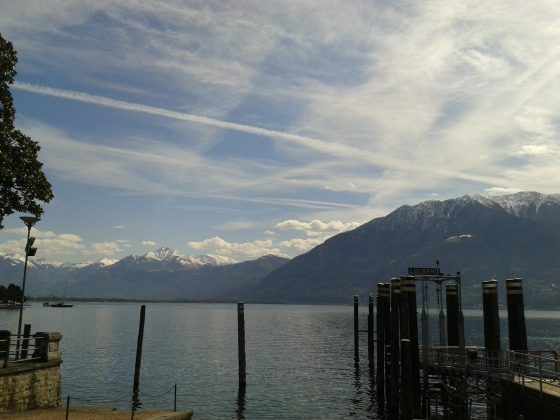 It also includes all public transport and ferries within Switzerland making it exceptional value. 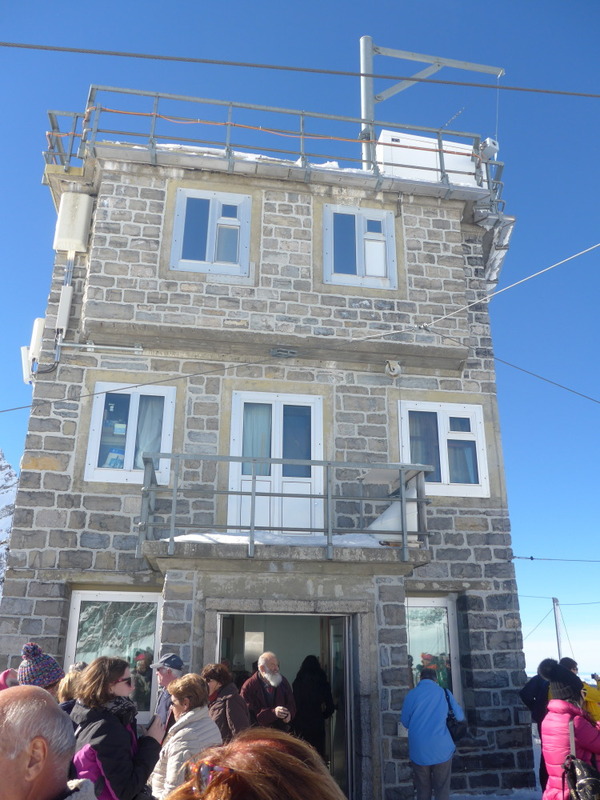 Family passes are also available and can be booked within six months of the Pass start date, but won’t be sent out until 45-60 days to that start date. 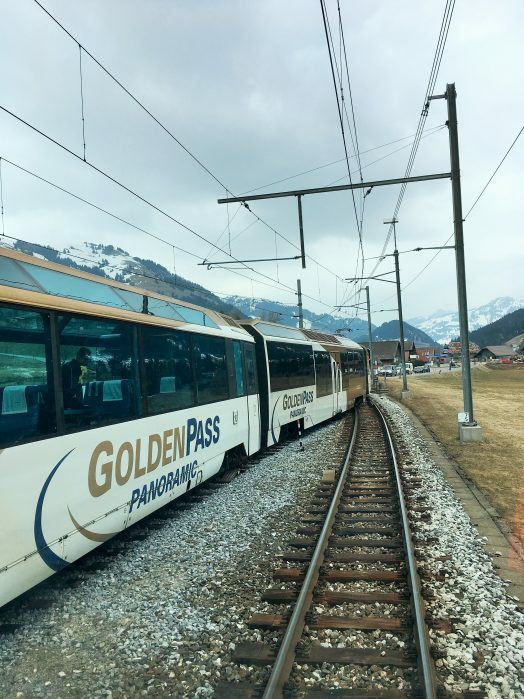 The Swiss Pass can be bought as a single country and check the Rail Plus website tab of Rail Passes > Europe > One Country Passes. Keep in mind these passes can only be purchased outside of Europe/UK and you must have a valid passport at the time of booking. 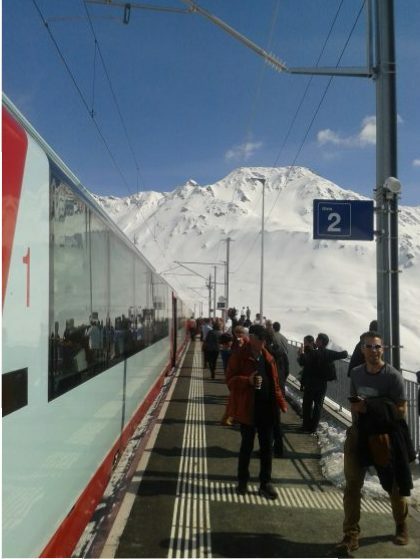 For Australians wishing to book or find out more about the Swiss Travel Pass and/or book a Eurail Pass combining Switzerland with neighbouring countries check out the Rail Plus website below. 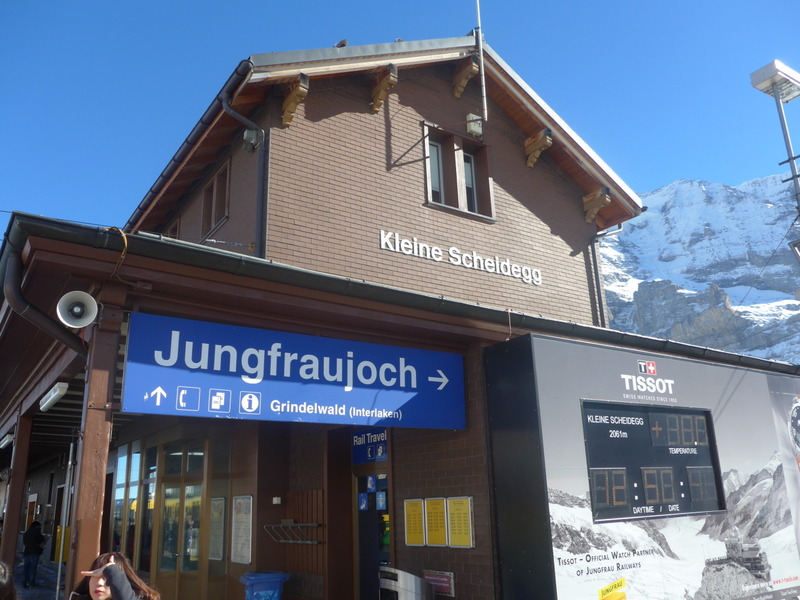 Fantastic start to the day for a train journey with Jungfrau Railways beginning in Interlaken-Ost. 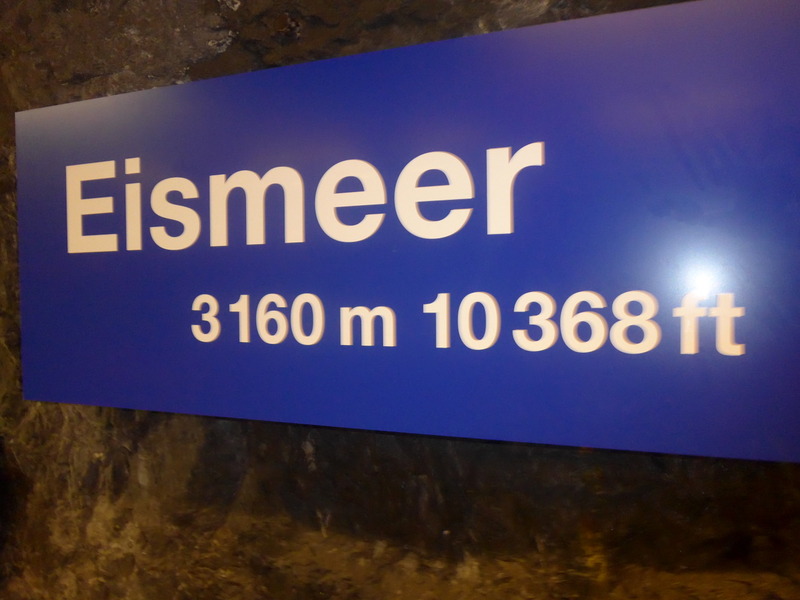 Ok, so you can’t use your Eurail Pass on this rail experience, but don’t be dismayed, just head back down the ramp to the Interlaken-Ost ticket office and show your Pass to receive a 25% discount on the normal price. 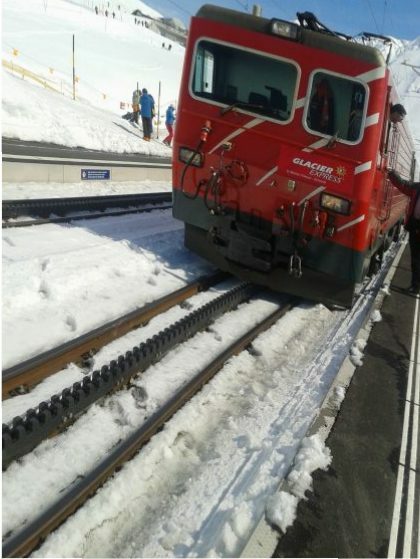 This is our first transfer point to change to another train better equipped with the terrain. Our driver ready to go. 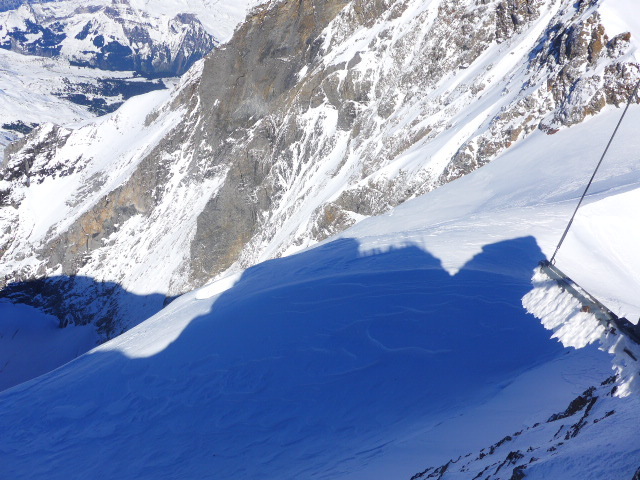 Making our way up is arduous but enjoyable to everyone onboard. 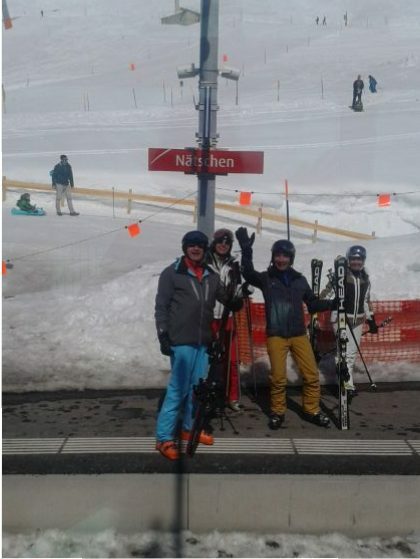 Ok so this is our next change of service for the climb upwards. Still very busy at shoulder season. Cheeky black birds even at this height know where to find food. 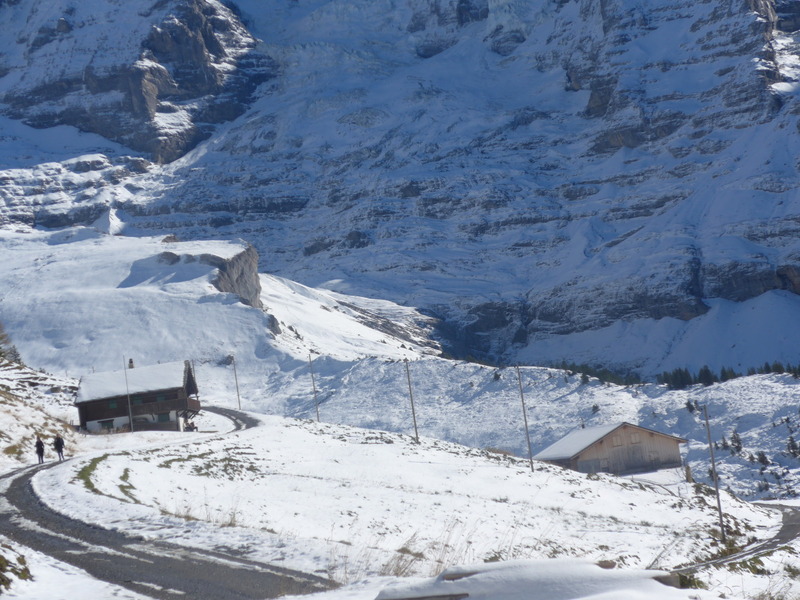 As always all good things must come to an end and now we’re on our way down but towards Grindelwald. Definitely the end of the day – those Lindt Chocolate Makers are feeling hungry as they know it’s feeding time. Ummm moo to you too! 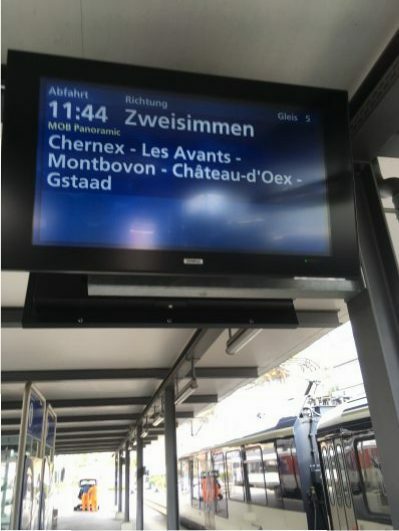 From Avignon to Geneva the TGV travels directly and a confirmed reservation is always required. 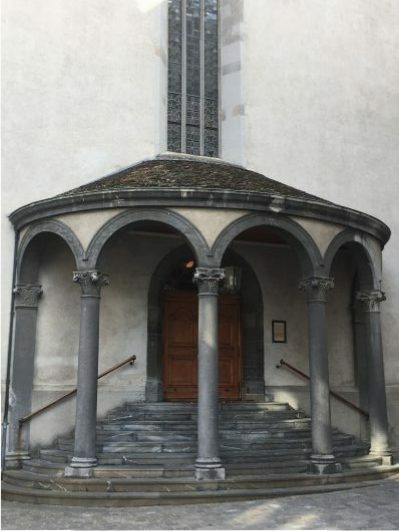 There are two main stations in Avignon whereby the Avignon Centre is directly in front of the main thoroughfare for eateries/restaurants and shopping once you step past the main gates of the walled city. 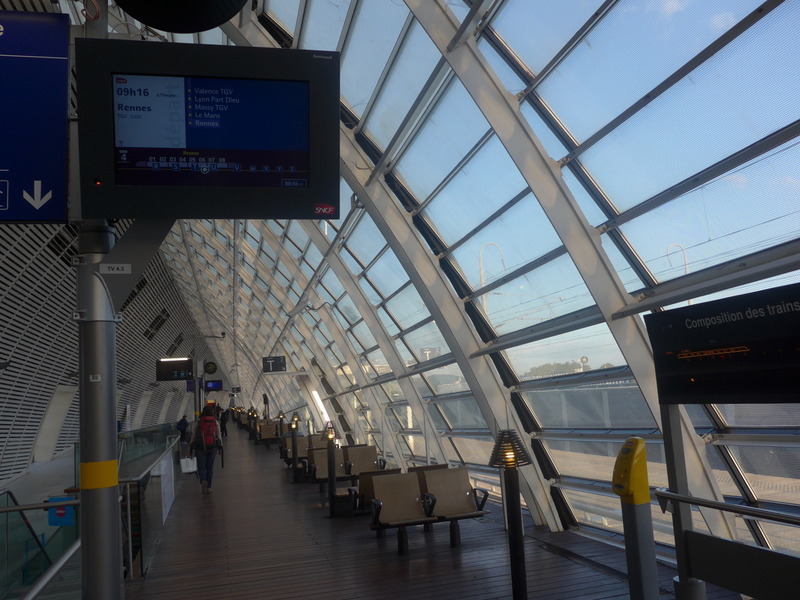 Avignon TGV Station is about a five minute ride from Avignon Centre with regular services going between. 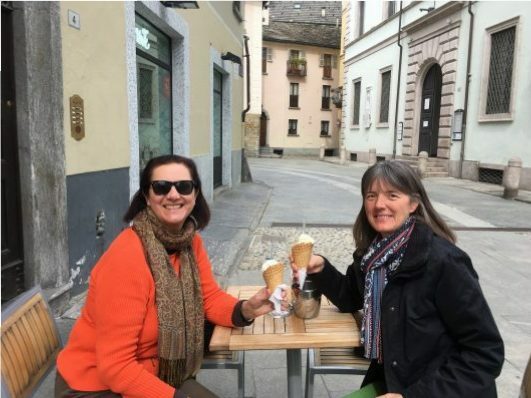 Lausanne or Lucerne Switzerland – any aspiring young travel consultant might like to learn the difference, almost always a geography test question. 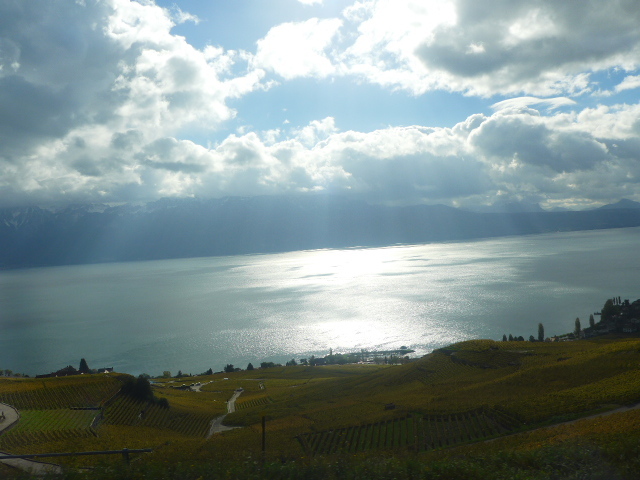 Heading towards Bern and skirting around the perimeter of Lake Geneva near Lausanne, the French-speaking part of Switzerland. 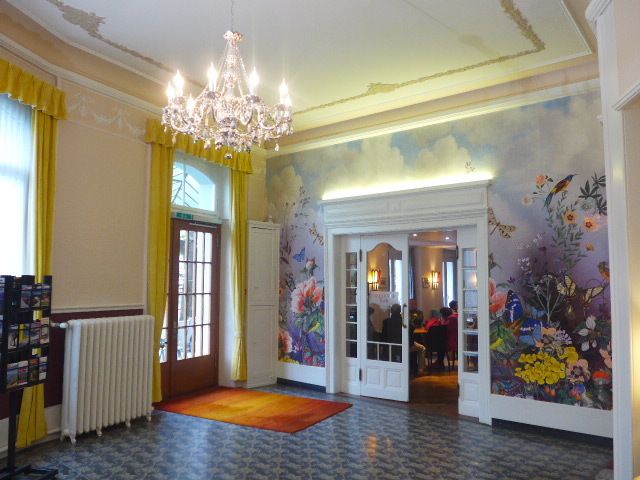 The exquisite and lovely Hotel Bellevue at Interlaken is a family owned and managed hotel. Just off the main thoroughfare; it’s quiet and a very handy location near shops and eateries. 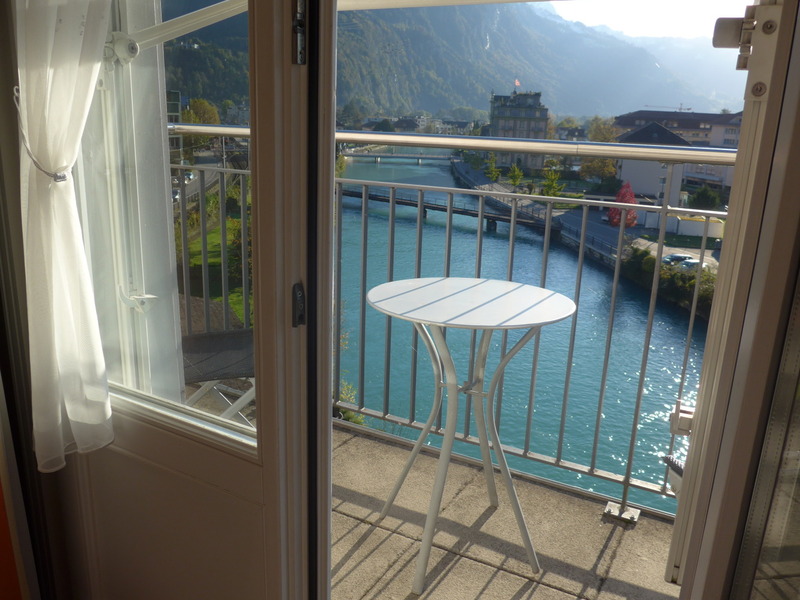 Generally, when you stay at a hotel in Interlaken they will provide you with a visitor’s card which allows you to travel free on local bus and train services. 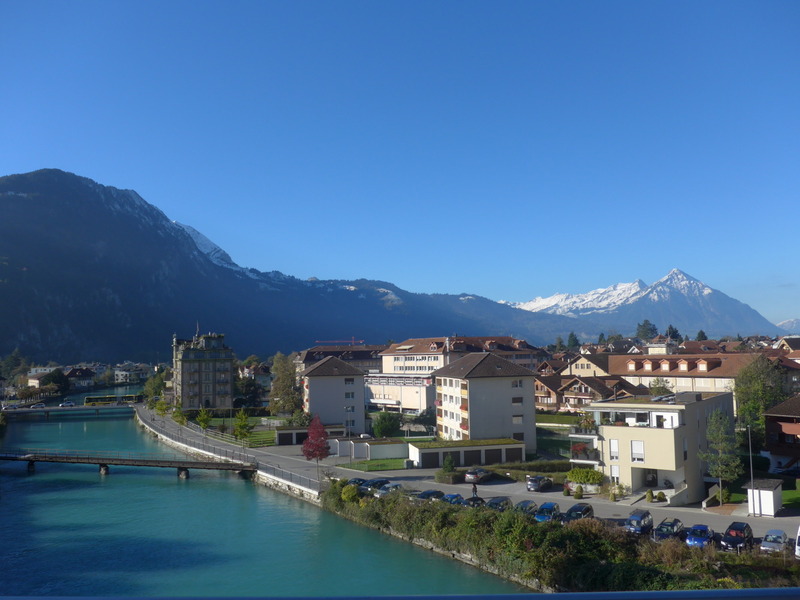 Room with a fabulous view at the Bellevue Hotel overlooking the Alps. 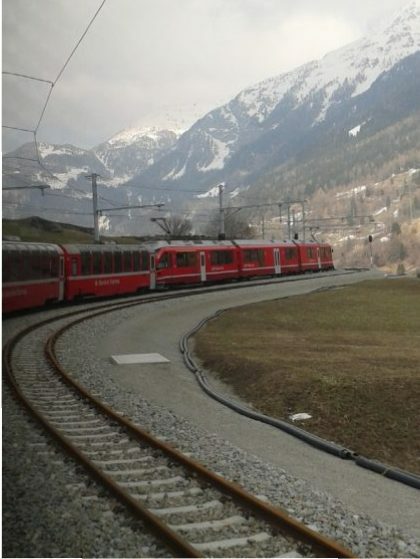 Interlaken West railway station is a two-minute walk from here and really convenient. 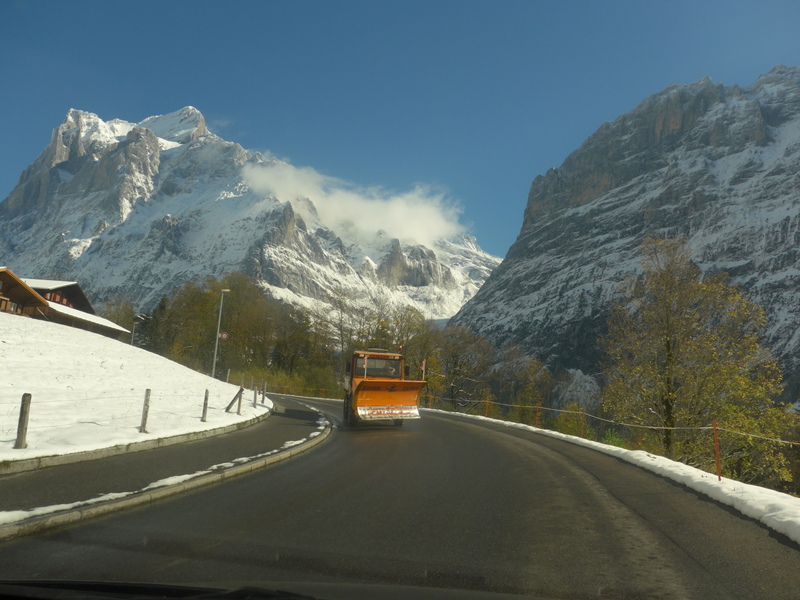 Sometimes you just can’t believe your luck – the night before was the first sprinkling of snow for Switzerland heading into winter. 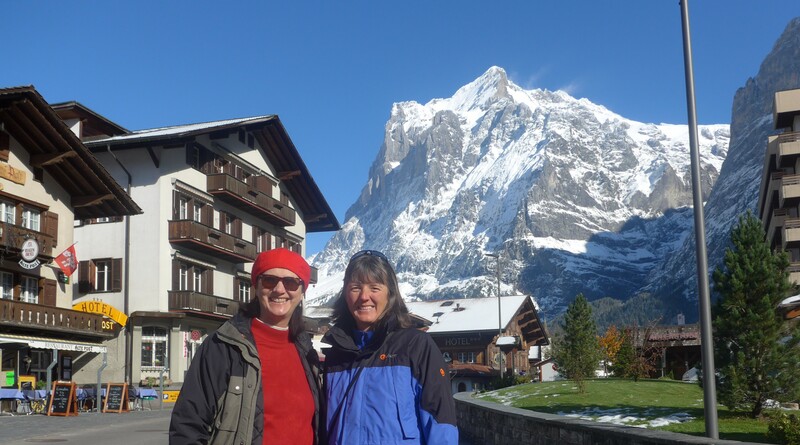 Headed up to Grindelwald for the day with long-time Swiss friend Anne from Bern. Snow was just heavy enough for clearance the next morning. 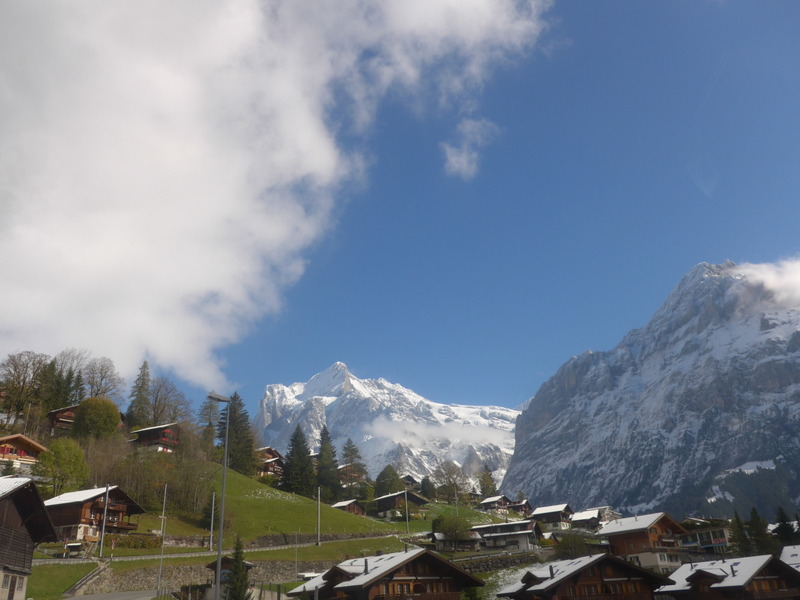 Grindelwald has some wonderful little cafes and restaurants and only a short drive from Interlaken.